I just came back from Bangkok and I was inspired to cook Thai food. I bought the “Rama V Thai Cookbook” sometime ago and haven’t tried any of the recipes yet. I decided to try the Green Curry Chicken from the cookbook and the result is delicious! 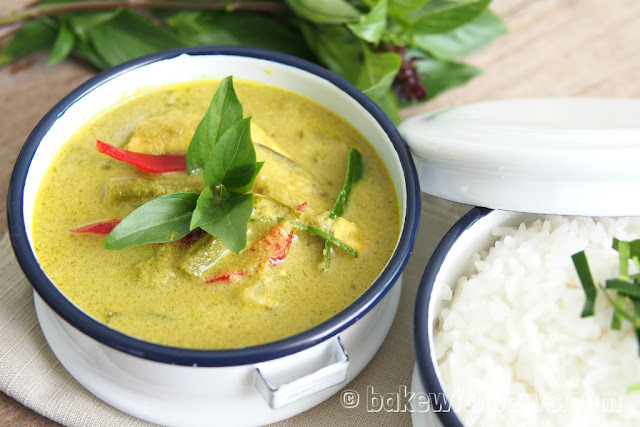 Recipe adapted from Rama V Thai Cookbook. 1. 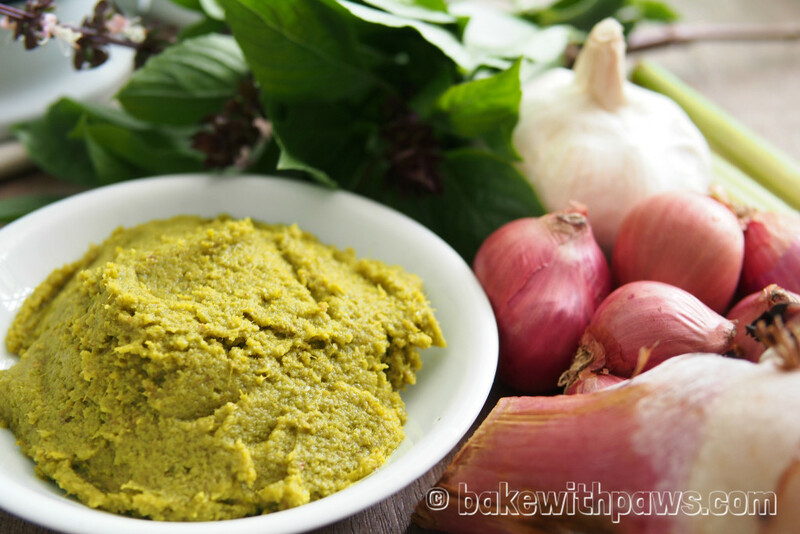 Using a blender, blend all the ingredients for the curry paste together (except cooking oil) until well-mixed. If the blender doesn’t move, add some water. 2. 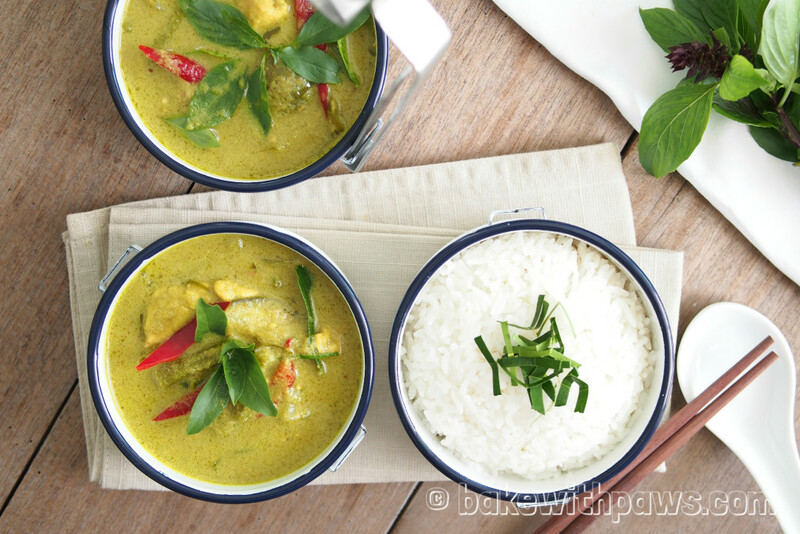 Heat up the cooking oil in a pan, and stir-fry the blended ingredients until cooked and fragrant. Set aside. 1. 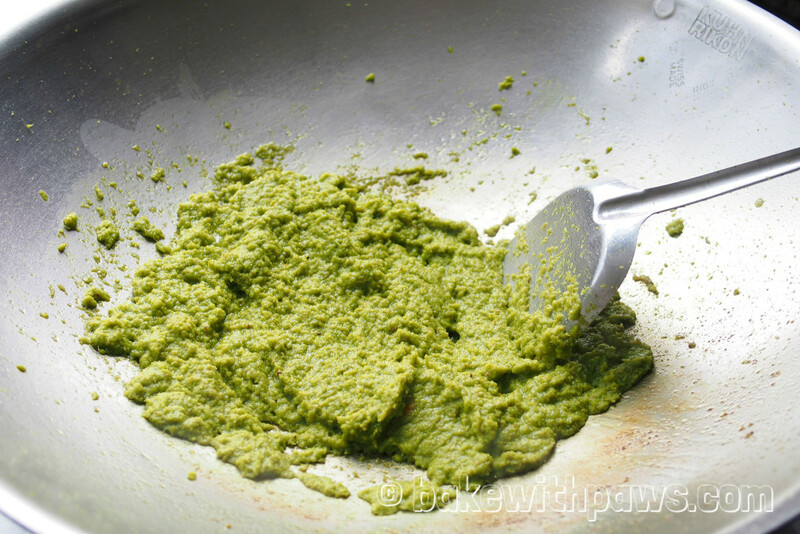 Add the green curry paste into a pot and stir-fry until oily and thick. Then add the coconut milk and continue to boil until fragrant. 2. Add the chicken, kaffir lime leaves, fingerroot and all the seasoning ingredients and continue to boil until chicken is cooked. 3. 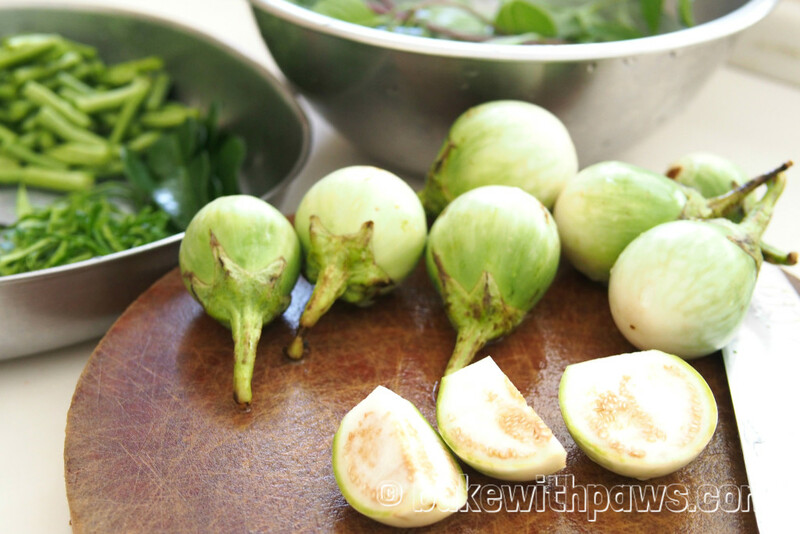 Then, add the eggplant and long beans and boil until the vegetables are cooked. 4. Add the red chillies and sweet basil leaves and leave on low heat for another 2 minutes. 5. 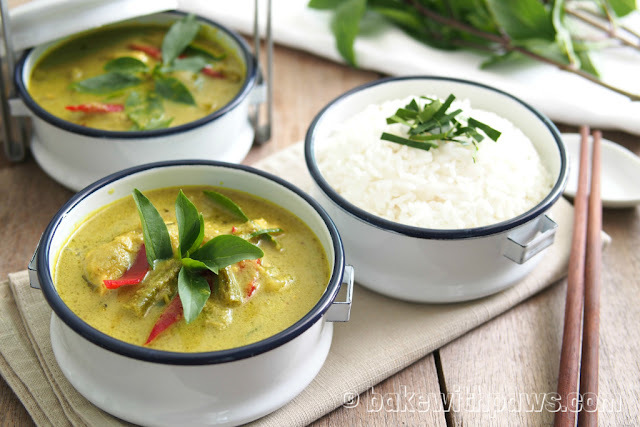 Garnish with sliced kaffir lime leaves, chillies and slices of sweet basil leaf. The original recipe uses green chillies but I found these beautiful Jalapenos and I couldn’t resit using them. They worked just as well for the recipe with a mild spiciness.